The weathered brown soft sole moccasin icorporates simple full grain leather with white stitching designed to go with everything, and makes your life as simplistic (and beautiful) as possible. 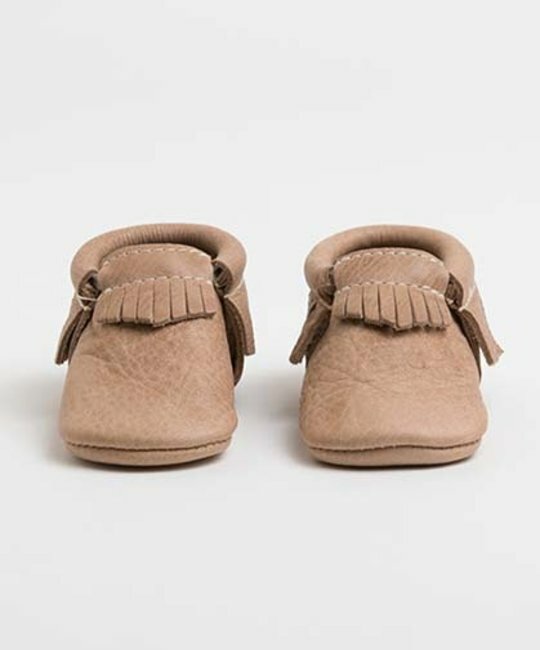 Features: Elastic at the opening makes the shoes easy to put on, easy to take off, and most importantly: they stay on your child’s foot. These soft-soled moccs are made with durable, wear-tested leather and are suitable for infants and toddlers alike.